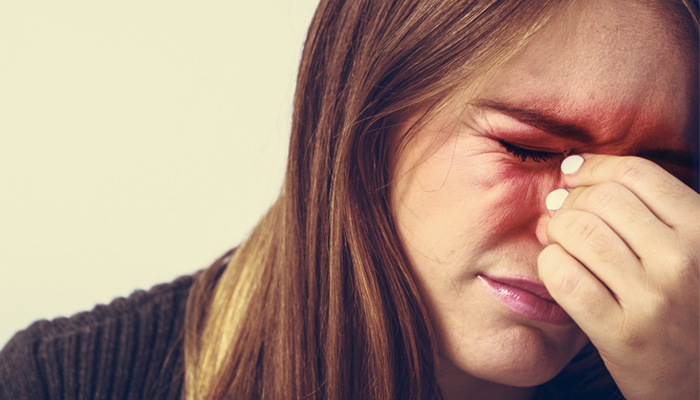 You are here: Home / Uncategorized / Can Acupuncture Relieve Sinus Pain and Problems? Can Acupuncture Relieve Sinus Pain and Problems? YES! Acupuncture has been proven to relieve sinus pain and pressure. Inflammation of the mucous membranes that line the sinus cavities is called Sinusitis. Acute or chronic inflammation causes the mucous membranes to secrete more mucous, then, the tissues in the nasal cavities become swollen. Swelling prevents drainage—the nose becomes congested—and pain/pressure builds in the face or forehead. A sore throat, cough, or even infection can eventually develop. However, this is not just a matter of isolating the sinus as the trouble-maker. 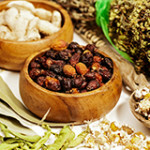 Chinese medicine looks to the overall health of the individual. Usually, there are other health issues creating a complex maze that the acupuncturist will lead you through to get a better idea of how to treat your sinus problems. Surprisingly, it is often found that lifestyle factors such as smoking and diet contribute to sinus problems. From the Chinese medicine perspective, for example, people eat a lot of dairy produce such as milk, yogurt, and cheese. Dairy products will have an effect on the body’s fluids—making them thicker and less free-flowing. Cutting out all, if not some, of these foods can be beneficial. If you smoke—stop! You will never give your sinuses the chance to recover. This is hard news, but your acupuncturist can also help you to lessen the cravings and bring you through the worst of nicotine withdrawal. 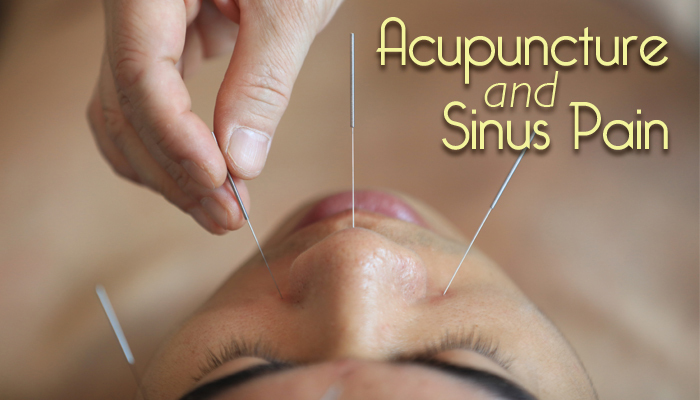 How does Acupuncture work on the Sinus? Acupuncture can help relieve sinus pain. In Chinese medicine, acupuncture uses the insertion of needles at specific meridian points of the body to redirect or re-balance “Qi” (the energy flow of the body). In Western terminology, acupuncture is the stimulation of specific points to alter various biochemical and physiological conditions. Acupuncturists search for the root of the problem, and treat presenting symptoms. In Chinese medicine, one bodily system affects the functioning of another system. For example, eating too much hot spicy foods, fats, or overindulging in alcohol will create what Chinese medicine calls ‘damp’ and ‘heat’ in the body. This causes phlegm, which moves into the lungs and nasal cavities. This problem is linked to a weakness or imbalance in the spleen energy system. This imbalance is caused by poor diet, because the spleen is linked to the stomach in Chinese medicine. All of the bodily system disharmony described above are addressed by the acupuncturist through the use of needles in specific meridian points to re-balance the “Qi” and help your body to heal. However, ultimately, partnering with your acupuncturist to take a larger overview of your health and lifestyle choices will be crucial on the journey of healing for the sinuses.